Over 100 years old (and looking not a day younger! 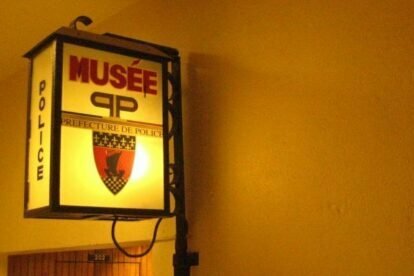 ), this museum describes the history of policing in Paris. A dry subject perhaps, but rendered fascinating by the many artifacts, including weapons, photos (gruesome!) and pieces of evidence. As everything here is in French (probably typed out in the 1960s), you can perhaps skip the parts relating to the origins of the police force and just zoom straight round to the murder room at the back! The trickiest part of the visit is to find the building in which the museum is housed in the first place (a working police station), then to locate the museum within the building. If you get lost though, you can always ask a policeman!